Because faith without works is dead! The purpose of our ministry is to evangelize people in the Dominican Republic with the Gospel of Jesus Christ and support those who are already faithfully serving as Church leaders, Pastors, and Missionaries. In order to accomplish the mission God has set before us we build relationships and love people for the purpose of sharing the Gospel. There is an old saying, “in order to share you have to show that you care.” We believe that by building relationships and meeting some of their physical and emotional needs we can make a difference for Christ in these poor communities that are without hope. 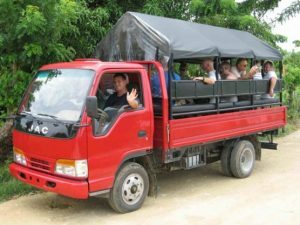 We also receive short-term mission teams that come for one or two weeks and partner with us to accomplish the mission. We also have a medical clinic in which we serve the poor by caring for their medical needs. Willing Servant Ministries operates, manages, and is raising the support for this medical care. This medical care helps the people be healthier and live more abundant lives. 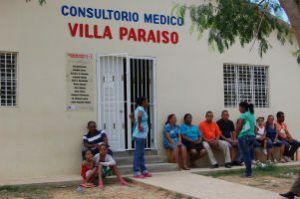 Many people here in the Dominican Republic cannot afford medical care or medicine. Through this ministry we are able to give medical care to 150 – 250 patients weekly, over 7000 consultations are given yearly, and to date we have over 8200 total patients. We know that we cannot cure all the ills of a deprived country like the Dominican Republic, but we can love and care for God’s people one person at a time, working alongside other faithful Christians.